This quality focused winemaking venture sources fruit from mature vineyards within the central Wairau Plains and the Southern Valleys. These prime viticultural sites are cultivated using yield restricting vineyard management techniques and intense canopy management regimes. A number of the vineyards are owned by the Sutherland family, while complementary grape parcels are acquired from additional select sites, all located within these sub-regions. 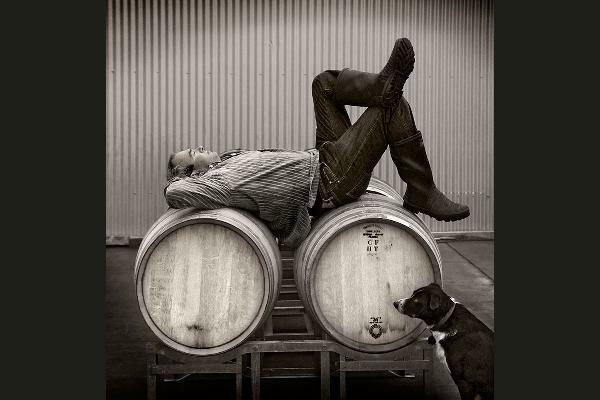 The wines are made by Kevin at Dog Point Winery in the lower Brancott Valley, a facility extended to him by long-standing friends and industry colleagues, Ivan Sutherland and James Healy. of three wines, there are also limited edition releases of chardonnay, and three aromatic varieties – pinot gris, riesling and gewurztraminer. Kevin's signature vineyard photographs provide the unmistakable identity of the Greywacke range. James Suckling 96 "A spunky chardonnay. There's seductive flinty complexity on the nose, surrounding bright citrus and nectarine fruits, spicy oak and a raw, chalky edge. The palate has folds of beautifully ripe fruit all coiled close. It delivers length and power with an air of classy elegance.